Bamboo Skateboards plans to debut an Indiegogo crowdfunding campaign in August 2013 to raise funds to increase awareness of sustainable skateboarding and to expand product offerings. There is a saying in marketing that “the big don’t eat the small; the fast eat the slow.” The faster a company can react to change, the more profitable and robust it will be (all other things being equal). SACRAMENTO — The Assembly passed a hard-fought overhaul of California's enterprise zoneprogram on June 27 that was sought by Gov. Jerry Brown after he called the system wasteful and ineffective. 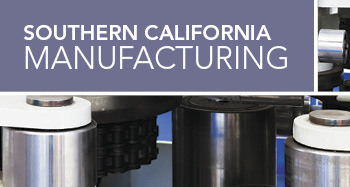 California's Legislature and the governor signaled to manufacturers on Friday that the state will be a more competitive place to invest over the next eight years by passing an eight-year 4.19 cent sales tax exemption on the purchase of manufacturing equipment. This was a 3 1/2-year increase over the 4 1/2-year exemption passed last week. TIJUANA, Mexico--Kyocera Solar Inc. announced June 21 that its solar modules have been installed on a photovoltaic (PV) carport at Toyota Motor Manufacturing of Baja California.